This Morning after breakfast visit the Agra fort, built by the great Emperor Akbar, and the famous Taj Mahal-the symbol of love, built by Emperor Shah Jahan in memory of his wife Mumtaz Mahal. You may also visit Dayal Bagh. This afternoon drive to Delhi enroute you may also visit Mathura-the birth place of Lord Krishana. Rest of the day is free at your leisure. Overnight at hotel. Today you will be transferred to Delhi airport to take a flight to Srinagar. On arrival at Srinagar, pick up and transfer to houseboat. In the evening Shikara ride on Dal Lake to enjoy the beauty that God has graced this city with which is often compared to Venice sunset. Overnight at Houseboat. This morning take a full day excursion to Sonmarg, a 3 hrs drive through the picturesque scenery will take you to Sonmarg 2690 Meters (Meadow of Gold). One can ride on horse to visit Thajiwas Glacier where snow remains round the year. In the evening return to houseboat to stay overnight. This morning after breakfast drive to Pahalgam 2440 Meters. On the way visit Saffron field and Avantipur ruins, which is eleven hundred years old temple? Pahalgam, is the most famous palace for Indian Film Industry. After lunch enjoy the nature charm of the valley. 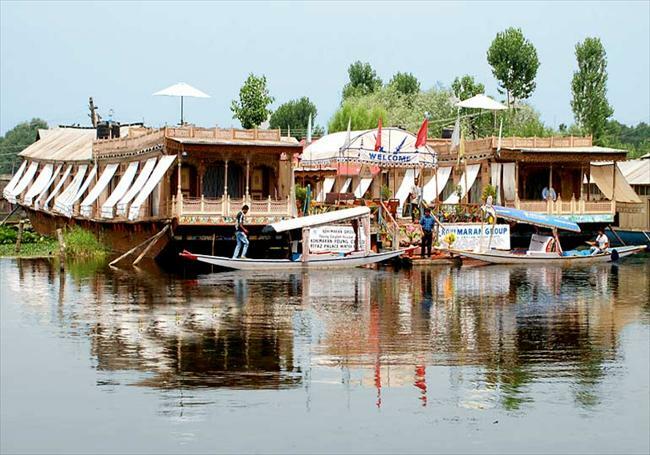 Return to Srinagar, overnight at Houseboat. Today you will be transferred to airport to take a flight to Delhi. On arrival at Delhi airport assistance in transfer to international airport to board your onward flight. * 6 Nights accommodation in hotels with breakfast on twin sharing basis. * 5 Nights accommodation in deluxe houseboat with breakfast & dinner on twin sharing basis. * Air tickets Delhi Shinagar Delhi in economy class.